The Reducing Maternal Mortality project in south-west Ethiopia aims to reduce maternal and early child deaths. As part of this intervention project, we did several studies on estimating maternal mortality through a community-based birth registry, a retrospective 5-year recall period household survey, and a health facilities obstetric care quality study. 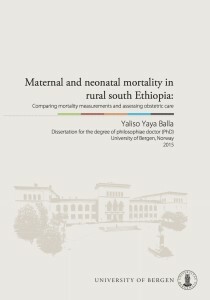 Yaya Y, Lindtjørn B (2012) High maternal mortality in rural south-west Ethiopia: estimate by using the sisterhood method. BMC Pregnancy and Childbirth 12: 136. Background: Estimation of maternal mortality is difficult in developing countries without complete vital registration. The indirect sisterhood method represents an alternative in places where there is high fertility and mortality rates. 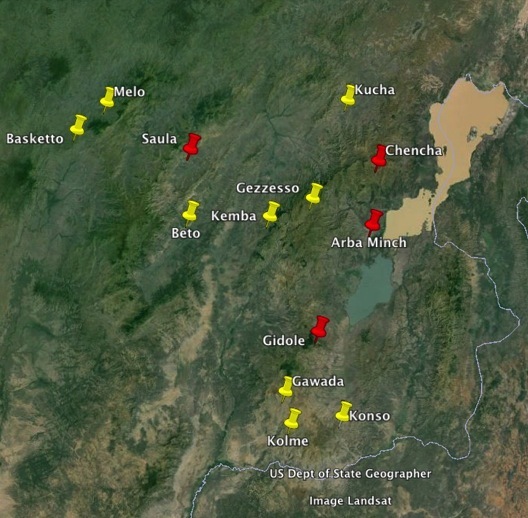 The objective of the current study was to estimate maternal mortality indices using the sisterhood method in a rural district in southwest Ethiopia. Results: We analyzed 8503 of 8870 (96%) respondents (5262 [62%] men and 3241 ([38%] women). The 8503 respondents reported 22,473 sisters (average = 2.6 sisters for each respondent) who survived to reproductive age. Of the 2552 (11.4%) sisters who had died, 32% (819/2552) occurred during pregnancy and childbirth. This provided a lifetime risk of 10.2% from pregnancy and childbirth with a corresponding maternal mortality ratio of 1667 (95% confidence interval, 1564–1769) per 100,000 live births. The time period for this estimate was in 1998. Separate analysis for male and female respondents provided similar estimates. Can we trust community based birth registries? Quality check household survey on community birth registry in Bonke woreda in Gamu Gofa Zone in South-west Ethiopia. Recently Tadesse Data from Arba Minch finished his Masters’ of public health degree at Addis Continental Institute of Public Health and University of Gondar. In many developing countries, we lack population based and accurate, reliable and complete population data, including birth registration. Recently, we started to register births, neonatal and maternal deaths using health extension workers in south-west Ethiopia. 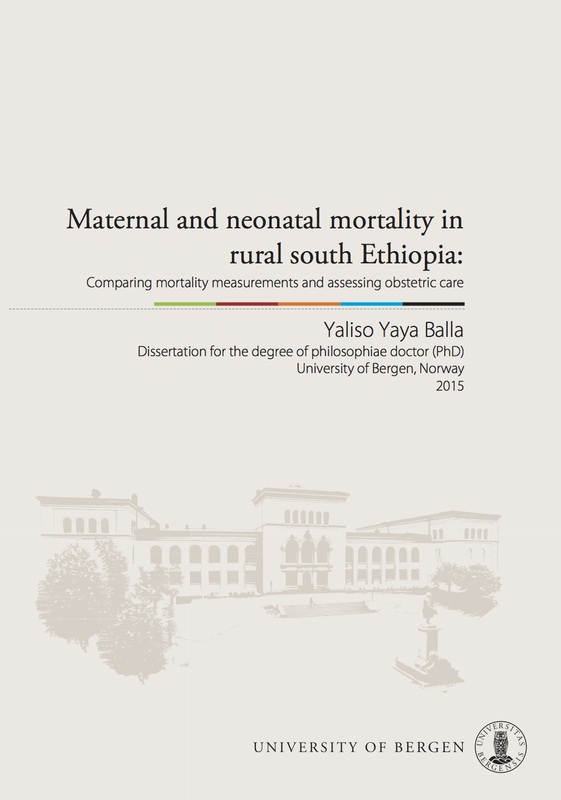 In his research, Tadesse Data assessed the quality of birth registries done by health extension workers. Specifically, he assessed if the existing birth registries covered the whole population. He did a community based cross-sectional household survey in Bonke Woreda in Gamo Gofa Zone in south-west Ethiopia. He randomly selected and surveyed 15 of the 30 kebeles (peasant associations) in the woreda (province). He asked about births that had occurred during the last 12 months, and examined if these births were registered in the birth registries. The study identified 2724 births among a population of 78782. The crude birth rate was 34.5 per 1000 population, and similar to the expected 35 per 1000 population for Ethiopia. About 71 per cent of the births were registered in kebele birth registry. Most of the non-registered births lived in remote areas, and many did not attended antenatal follow up. Eighteen mothers died, and the maternal mortality rate in Bonke Woreda rate is 661 per 100.000 live births. The study show that health extension workers can do community based birth registration. However, the health extension workers need regular supervision, and we need to improve the coverage of the antenatal services.